Can’t find your diagnosis? Call us and we will find a way to best accommodate you! We specialize in the use of manual therapy techniques in a variety of orthopedic and neurological injuries/pathologies. 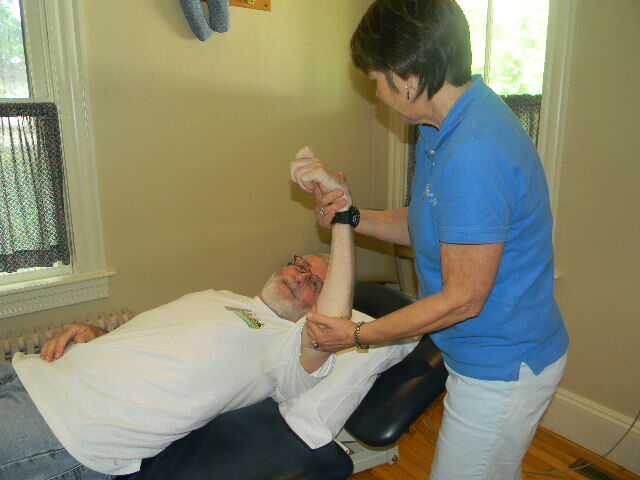 Learn more about our unique treatment approach at Physical Therapy Services of RI. Examining the body as a whole is our specialty. At Physical Therapy Services of RI, we not only help you recover from an injury, but we design an exercise program that will improve your performance and allow you to remain injury-free. Our highly experienced therapists integrate patient education and functional exercise to help relieve pain and help you regain functionality. Our therapists focus on the interrelationship of range of motion, strength, and postural alignment as they relate to biomechanical function. We pride ourselves on using manual orthopedic therapy, or the use of hands on techniques to make direct changes to muscles, ligaments, tendons, fascia, and bony alignment. This approach not only helps to identify the anatomical dysfunction, but also looks at a broader view for biomechanical problems which may have led to the injury in the first place. helping elderly individuals with joint replacements and balance/strength problems regain independence and an improved quality of life.